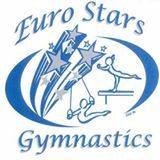 The In-House Team at Euro Stars Gymnastics is a wonderful opportunity for recreational gymnasts who want a little more to their gymnastics training. Our in-house select team trains a minimum once a week for two hours which allows the girls to progress in gymnastics, while not committing to year-round competitive gymnastics. An evaluation or try out is required to join our in-house team. Being a part of this team gives these gymnasts a great chance to enhance their presentation skills and gives them an opportunity to perform! Members of the In-House Team have the opportunity to participate in three (3) in-house Fun Meets throughout the year. December 2nd – Jingle Bell Rock! 6 pm starting, gymnast arrival between 5:35-5:45. May 19th – Spring Fest! This class creates an environment where girls will gain gymnastics skills and perfect routines in preparation for the Fun Meets. Friends and family are welcome to attend the Fun Meets where gymnasts will perform on all the apparatuses. All participants will receive a special award at the end of each performance. Who should participate in the In-House Team? The Euro Stars In House Select Team is exclusively offered to gymnasts who have been evaluated for any select class, or who have at least one year of gymnastics experience. For example, those who are ready for Shining Stars, Starter Stars, Bright Stars and Shooting Stars classes who wish to continue to progress and work toward higher goals, without the pressure of outside competition would be a good candidate for this program. Criteria: Athletes must be enrolled in an In-House Team for at least 9 weeks before they are eligible to participate in a Fun Meet. No contract is required for the in-house team, and gymnasts can enhance skills through the year and have more difficulty added to their routines. For the December Mock-Meet students must enroll before September 14, 2018. For the February meet, they must be enrolled as of December 11, 2018, unless they were previously enrolled. Students may enroll at any point, but must be “ready” to be able to participate in the meets. The In-House Team will focus on preparation for the In-House Meets. Gymnasts will learn and perfect routines that are appropriate for their skill level. Gymnasts will practice jumps, leaps, turns, and other gymnastics skills they will need in a routine. Athletes will also focus on supplementary strength and flexibility work to enhance their skill development. A new skill must be mastered to be put in a routine. However; as skills are achieved, they can be added into routines. Athletes will perform “compulsory” routines. The routines will be similar for each gymnast based on their level, but specific parts will include each athlete’s individual skills. Each In-house team will practice on Floor, Balance Beam, Bars and Vault. The focus of the In-House Team practice is to learn individual skills, dance elements specific to gymnastics, and perfect and upgrade routines, as well as incorporate necessary stretching and conditioning to enhance all skills. In the fall, classes will be separated based on age and skill level. Those in In-House Select will be the first to be evaluated for upcoming spots for pre-team and team. Online registration is not available for in-house select team. Please contact the office for enrollment. What happens at the In House Team Fun Meets? At the in-house meets, participants will perform specific routines on each apparatus. A brief warm up will take place on each event, then athletes will perform. At the closing of each Fun Meet, athletes will be individually recognized at an awards ceremony. Fun Meet dates are scheduled approximately every 3 months. All participants will receive a custom trophy. The In-house Team class is 120 minutes long and the cost is $148 per month. Unlike, pre-team or any of the team programs, the In-house Team class is a monthly commitment and students can disenroll or add in later in the cycle. You must fill out a “Stop Class Request” form 7 days before the current month if you want to stop. Also, to be eligible for the next in-house fun meet, they must have been enrolled and in attendance for the 7 weeks before an in-house fun meet. Gymnasts can opt to take additional tumbling or conditioning classes. It is not required, but those wishing to do so may ask their instructor for the appropriate additional class level. What is the Cost to be in the In-House Fun Meet? In-house Team Fun Meet: $50 per participant per Fun Meet. In-house Team Leotard is $45 and is mandatory to purchase when you sign up for the In-House Team and is specific to their in-house level. Leotards can’t be worn in class, but must be worn at the Fun Meet. All uniform purchases must be made through the Euro Stars Gymnastics Office. Q: Who should sign up for the In-House Select Team? A: Any gymnast who wants to advance their gymnastics by learning skills & choreography. This program is also helpful to anyone who wants to eventually be on a competitive gymnastics team. A try out or evaluation is required. Q: Are there make-up classes? A: There is one make up allowed each month. Please set it up with the front desk. Q: When is tuition due and is it always the same? A: Tuition is due on the 1st day of each month. The amount is exactly the same price each month, except your first month, which may be prorated if you begin after the month has begun. Q: Does my gymnast have to participate in the Mock Meets? A: Although we highly encourage it, it is not mandatory to participate in the fun meets. Q: When is the deadline to register for the In-House Team? A: There is no deadline to be a part of the In-House Team. You can start at any time as long as there is room in the day and time you choose. You must also register at least 7 weeks before an upcoming fun meet to ensure the gymnast is ready for the performance/fun meet. Q: What are the benefits of the In-House Team over recreational classes? A: In-house Team members will learn key gymnastics dance skills, performance techniques, rules for competing, choreography, and presentation skills. All of these are important attributes for future competitive gymnasts. Q: Will gymnasts learn new routines after each Fun Meet? A: In line with USA Gymnastics compulsory routine, each level keeps the same routines for the session. If gymnasts work hard to improve their routines after each performance. Each class level has a different routine, so as your gymnast moves up in their level their routine will change. As gymnasts master new skills in class it may be added to their routine.